Pinnacle Medical Group - Dr. Charlotte Lohrey, MD (Nashville) - Book Appointment Online! 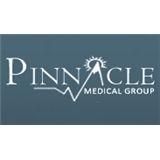 Pinnacle Medical is a dedicated Internal Medicine office that is always working to better your health and keep current with the latest standards of care. Our Mission: "Together we will take care of the medical problems that you have today and do the best to keep you from developing new problems in the future." Not only was Dr. Lohrey amazing, but the entire office were helpful and knowledgeable and great to work with. I’m so glad to have found this office.